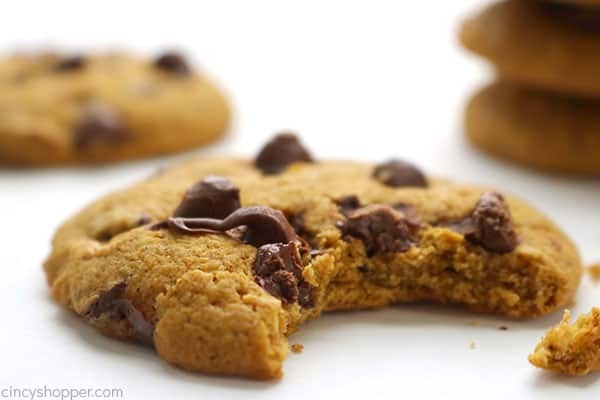 These Thick and Chewy Pumpkin Chocolate Chip Cookies are the BEST! They bake up perfectly with no cake like texture. Perfect for dipping in your coffee or even milk this fall. I have made so many versions of pumpkin cookies over the years. 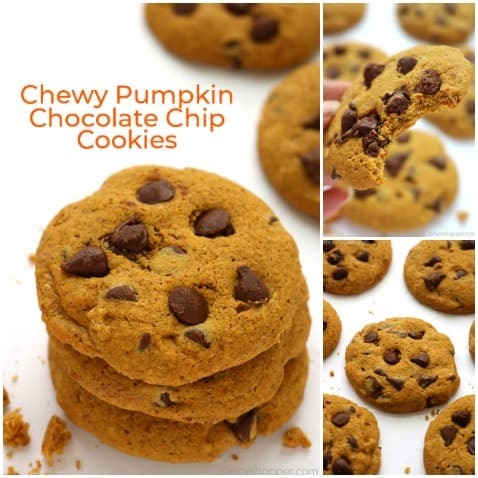 I usually use my other Pumpkin Chocolate Chip Cookie Recipe. That version has always been one that is a bit more cakey. I personally prefer a thick and chewy cookie with a bit of crispiness. 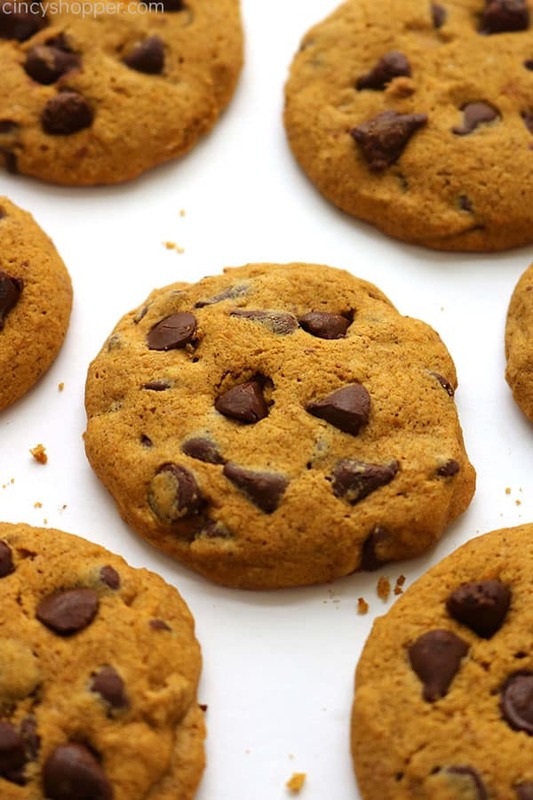 Cookies are great for potlucks and also to send with the kiddos to have in their lunches. A couple of my kids LOVE pumpkin in the fall so we make quite a few pumpkin recipes when fall arrives. 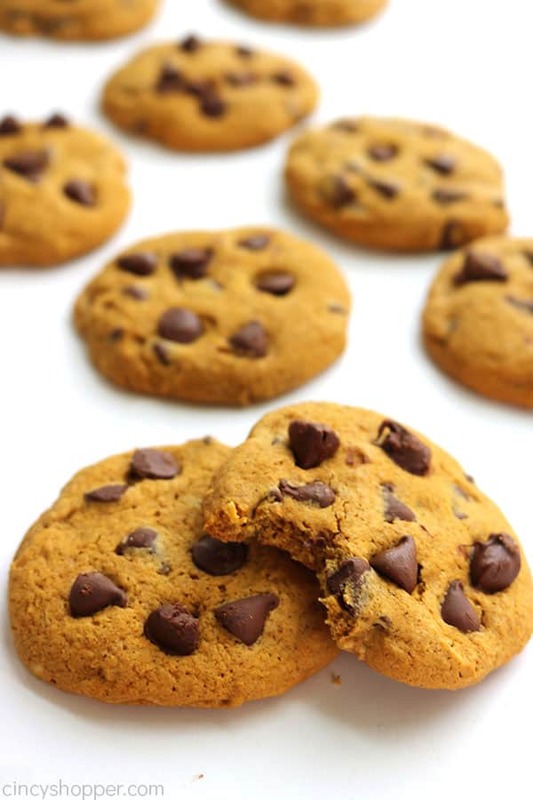 Since they usually prefer a thick and chewy cookie, I really wanted to create a recipe for a thick and chewy pumpkin chocolate chip cookie for them. 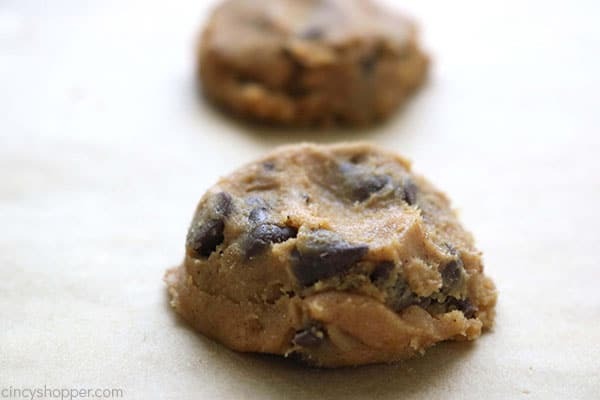 The key to getting these cookies chewy is to melt your butter. I realized this after doing some googling. 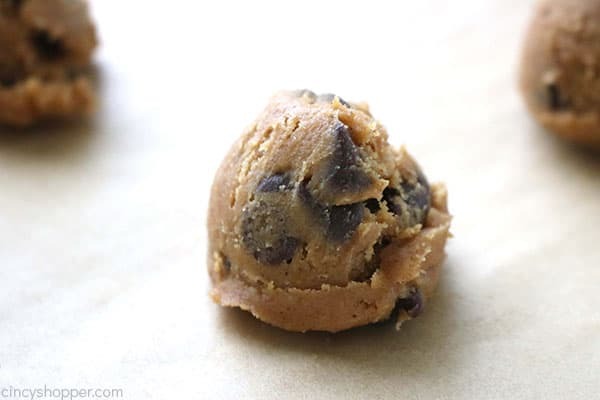 If you melt the butter and chill your dough, it just makes for a better cookie. I like baking with fall spices and pumpkin. My house always has that warm fall smell. It really makes me appreciate the season changing. Plus… it makes me enjoy the cooler weather a bit more. Fall can be so comforting when you enjoy comfort foods. Do you feel the same? 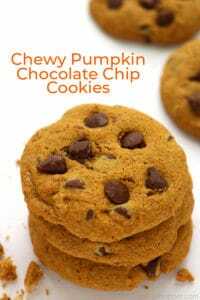 Basic pantry ingredients along with some canned pumpkin and your favorite chocolate chips are all that is needed for this Chewy Chocolate Chip Cookie recipe. 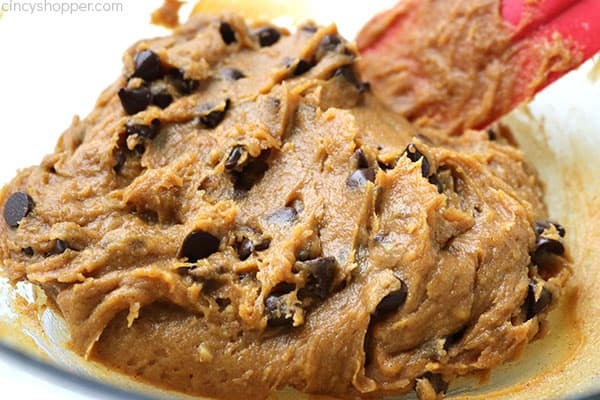 You will need to chill your dough for just a little bit. Also, making your dough balls just a bit taller makes them thicker. When you pull them from the oven, they will appear to be uncooked a bit. Trust me, they will harden up quite a bit after just a bit of cooling. Oh and they get better and more chewy the longer you wait to consume them. 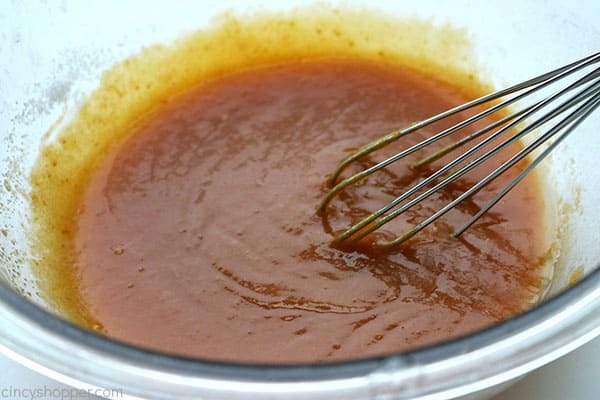 In a medium bowl, combine butter, brown sugar and sugar. 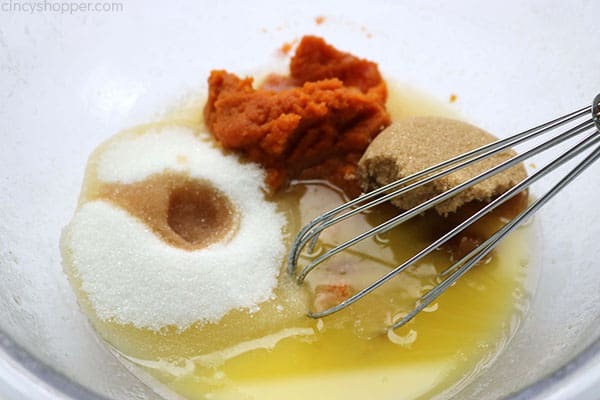 Add vanilla and pumpkin and whisk until smooth. Set aside. 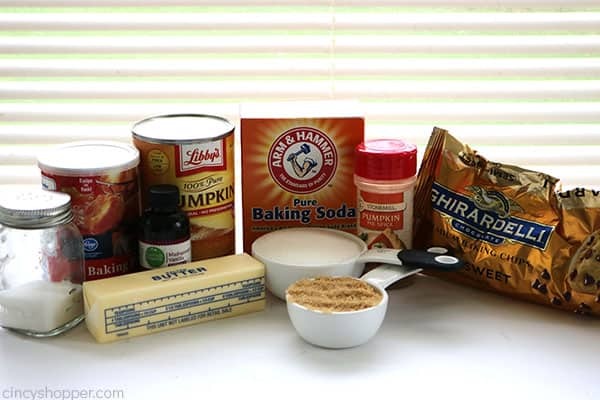 In a large bowl, combine the flour, salt, baking powder, baking soda and pumpkin spice. 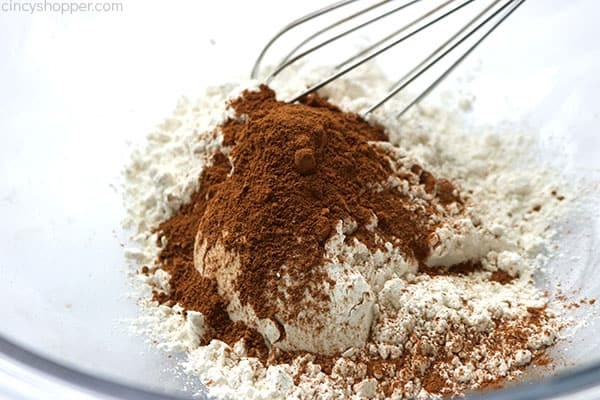 Whisk for at least 1 minute until blended. Add wet ingredients to the dry ingredients and mix with a spatula. 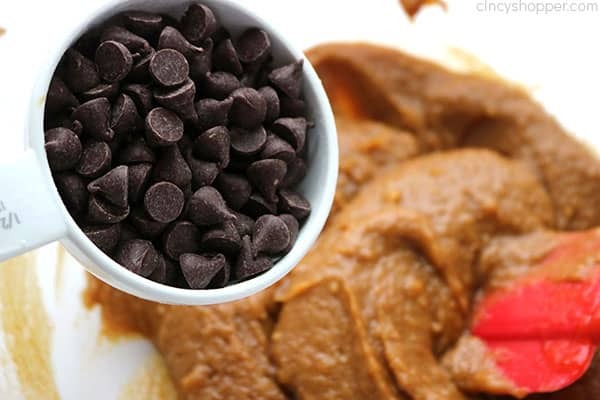 Add chocolate chips and mix with spatula to distribute. Refrigerate the dough for 3 hours. Portion dough into 1 1/2 to 2 tbsp balls and place on prepared sheet. Bake the cookies for 10 minutes, remove from oven and leave on cookie sheet for 10 minutes. Transfer to wire rack and allow to cool completely. 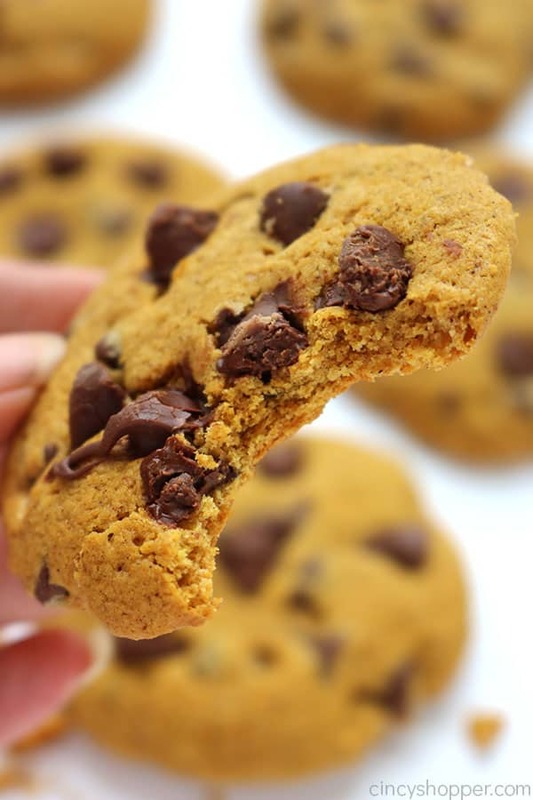 Do you have a favorite pumpkin cookie recipe? 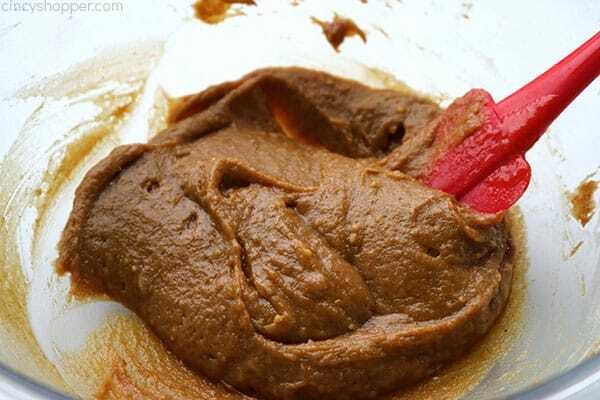 n a medium bowl, combine butter, brown sugar and sugar. These cookies look delicious. Thanks for the recipe. These are amazing!Thank you for sharing! can’t wait to try it at home and report back with my results!